When our hair begins to thin it can be distressing and lead to a real knock in confidence for many of us, yet most men can overcome male pattern baldness and get on with our lives. Thinning hair, which usually starts with the gradual recession of the hair line at the temples and the appearance of a bald spot on the crown, can start as early as in our teens and tends to leave us with much less hair by middle age. Why do some men lose their hair through male pattern baldness? We tend to refer to hairloss in males as male pattern baldness. It is caused by androgenic or androgenetic alopecia, which is a hereditary genetic sensitivity to the hormone dihydrotestosterone (DHT). It is our reaction to DHT that makes it possible for men suffering from male pattern baldness to then re-grow hair naturally. All men produce the hormone DHT, but in many men there is a reaction to the hormone that causes a shrinkage in the hair follicles that eventually stops them producing hair altogether. Because the follicles remain in place it is possible to stimulate them to grow hair again and reduce or even reverse the thinning hair line. 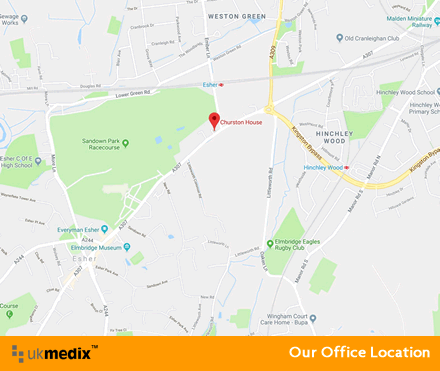 UKMedix offer oral treatments that can help stimulate your hair growth, without the high cost and unnatural sudden changes associated with surgical procedures. The simple oral treatment available from UKMedix is called Propecia and can help reverse balding to the extent that users can again enjoy a full head of hair. 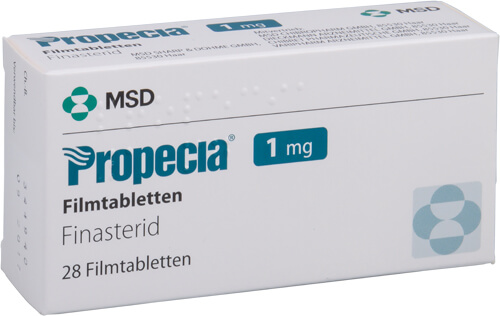 Propecia's active ingredient is called finasteride which blocks the effect of the DHT hormone and consequently stops the loss of hair and can lead to new growth. The earlier you begin to treat your symptoms the better your results are likely to be. You may have seen the Norwood Hamilton charts that help us identify the stage our hair loss has reached (see diagrams). Men in the early stages 1 - 3 are likely to see full restoration of their hair, while those with more advanced baldness should be able to arrest the decline. Even at stage 5 where the bald patch is expanding across the scalp to meet the receding line of the temples, Propecia can slow and usually reverse your symptoms. Regular use of Propecia will help you stop further hair loss and stimulate your follicles to begin producing hair again. Are there alternatives to Propecia? Propecia is the most effective treatment for male pattern baldness and has been proven to deliver significant results in 9 out of 10 recent cases. There are however several alternatives to Propecia that vary in nature from hormonal drugs to surgery in the most extreme cases. This is a hormone treatment that blocks the effect of DHT in males. This is sometimes recommended for the treatment of certain types of extreme baldness. The chemical solution diphencyprone is applied to the scalp weekly to stimulate an allergic reaction that often leads to re growth of hair. This is an extreme option and should not be considered until other options have failed. There are several different surgical procedures available and success often depends on the skill of the surgeon. Why should you consider UKMedix for your Propecia prescription? 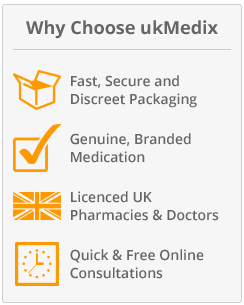 All customers of UKMedix receive a free consultation which is examined by one of our qualified doctors to ensure that the prescription is the best suited option for you. Get your confidence back with Propecia, the effective treatment for male pattern baldness.